You’re walking around a show and when you see a car cruise in that makes you stop in your tracks. You’re stunned and instantly curious. You’re hear it and feel it as it drives by. Time for a closer look. Cars that make you feel that way have alot to see, but it’s all skin deep. What’d he do for the rear axle setup? Are those custom engine mounts? Unless the builder took great pics and brought them, it’s tough to fully appreciate what it took to bring that car to the show. That’s where Build Book comes in. 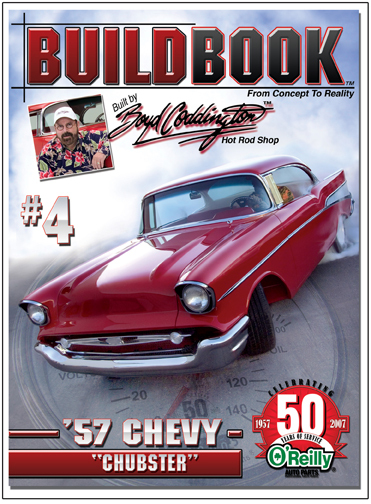 BuildBookUSA.com has published 5 books covering 5 cars built by some of the top builders in country. I met Scott and BJ Killeen (long time auto journalists) at the Grand National Roadster Show and they were kind enough to let me preview the complete series of books. You gotta check these out! The first book, and my favorite, is about Joe Rogan’s “Sick Fish” 70 Barracuda. 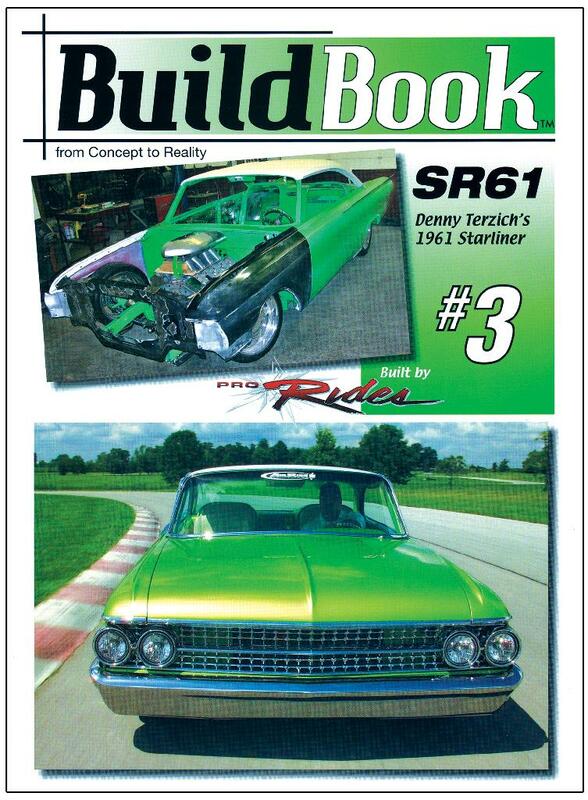 Built by the legendary Troy Trepanier & Rad Rides by Troy, this book oozes coolness page by page. What do you want to know about the build? Who did the concept and what’d it look like? 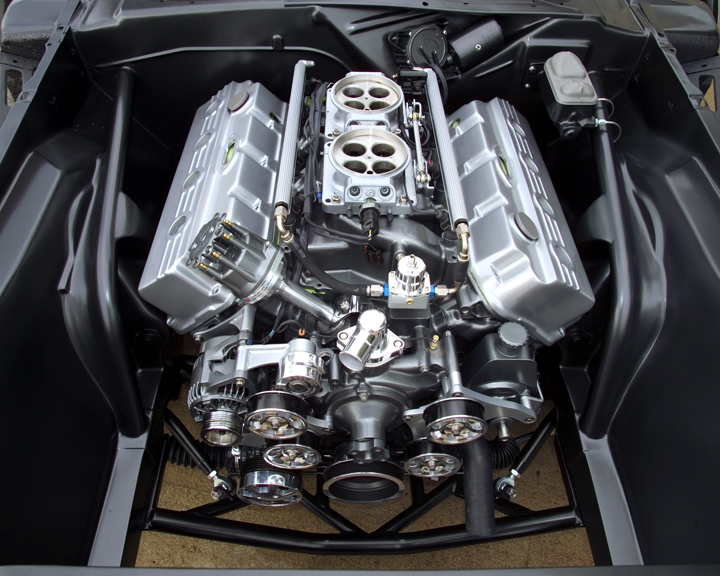 Chip Foose did it and it was pretty wild compared to the final car. Page by pages, I kept thinking… I want to do that on my car. I always wondered what’s the best way to do that. All those questions are answered in the book. All of the pictures are full color and there’s hundreds inside. These are books you’ll keep forever and refer back to frequently. For the $15 asking price, it’s a steal. An incredible series of books! 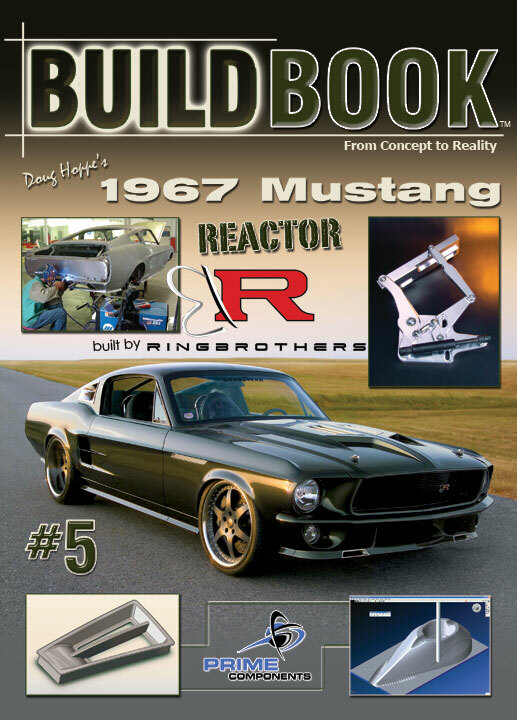 While a magazine feature might give you an overview of the finished car, with an occasional in-progress teaser shot, these books really answer a ton of questions…. the stuff that makes you yell “how’d they do THAT?? !” when you see the car. 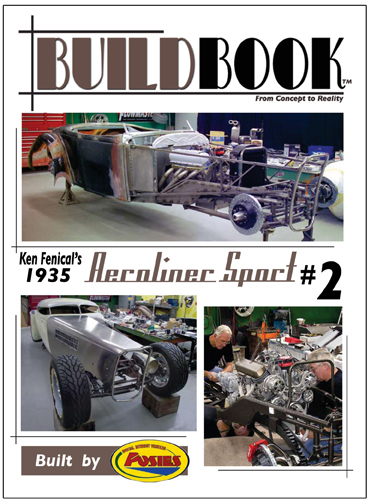 I had read the volume on the Aeroliner from Posies, and was just amazed at the level they took every part of the car to… there were things I hadn’t seen on the car, and details that the average builder may have over-looked that kept me going back and studying. The photography alone in this series is worth the price, and the behind-the-scenes insight is just more value thrown on top. Well worth it, in my opinion. Very insightful, entertaining and interesting. I’ll definitely collect the series. The “Build Book” series is truly insightful. Not my first choice of cars to feature, but that’s not the point. These books offer insight as to what went on during the build. These publications are genius and definitely something to hang onto. As readers of anything “hot rod”, I think all of us try to eek out any “how’d he do it” tidbits we can from most of the published stories we see. That is the mission statement of these books, again, GENIUS.